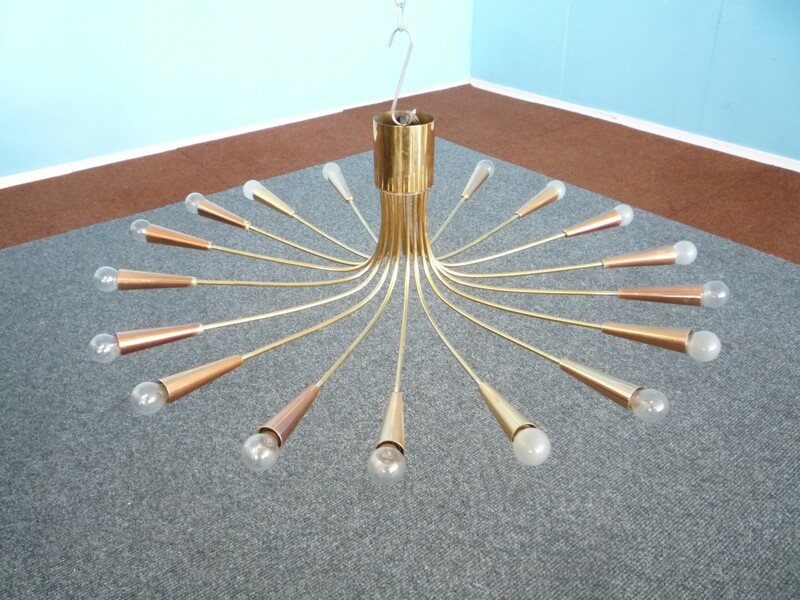 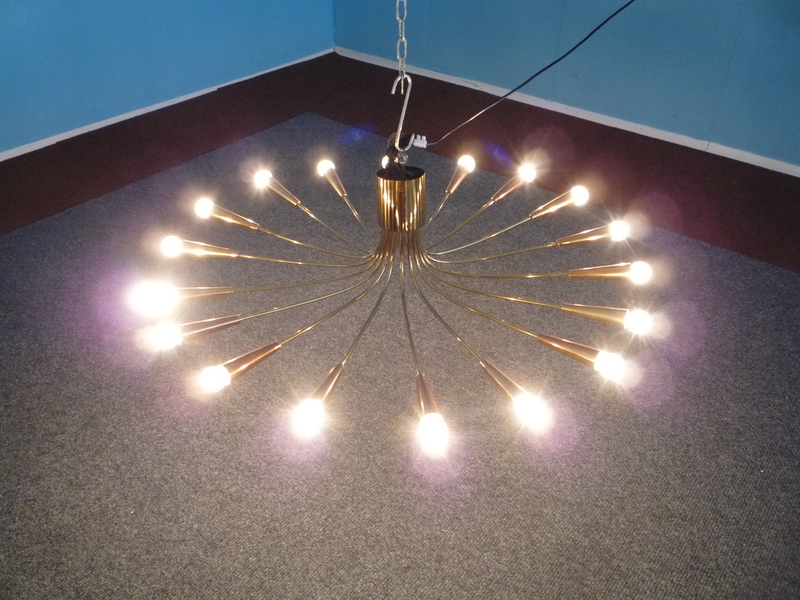 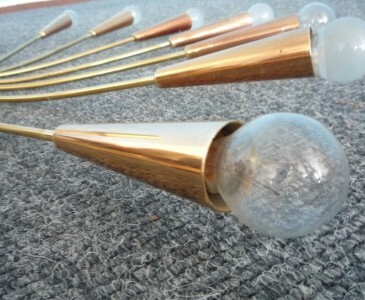 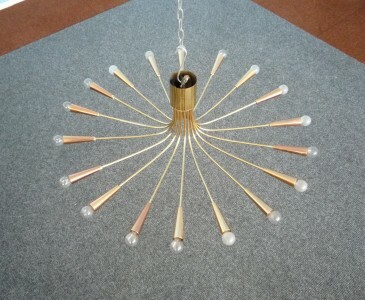 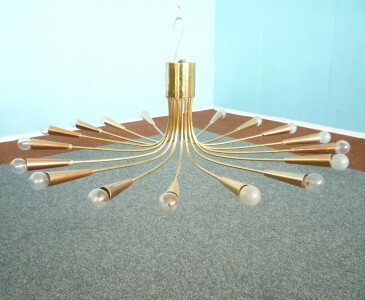 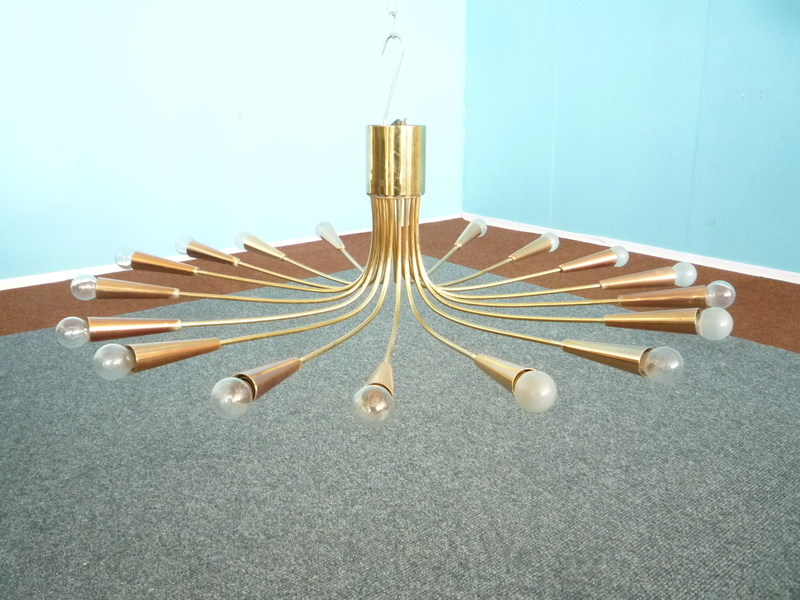 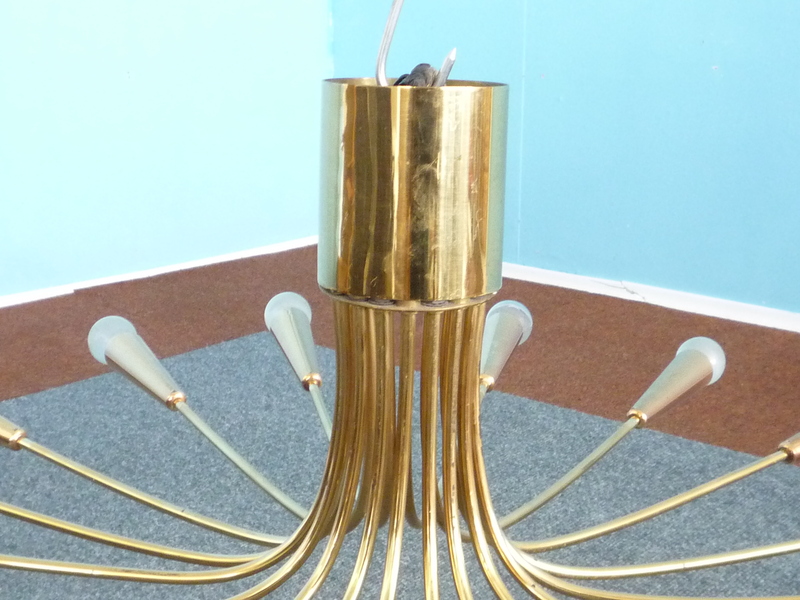 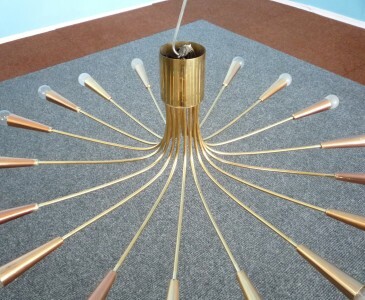 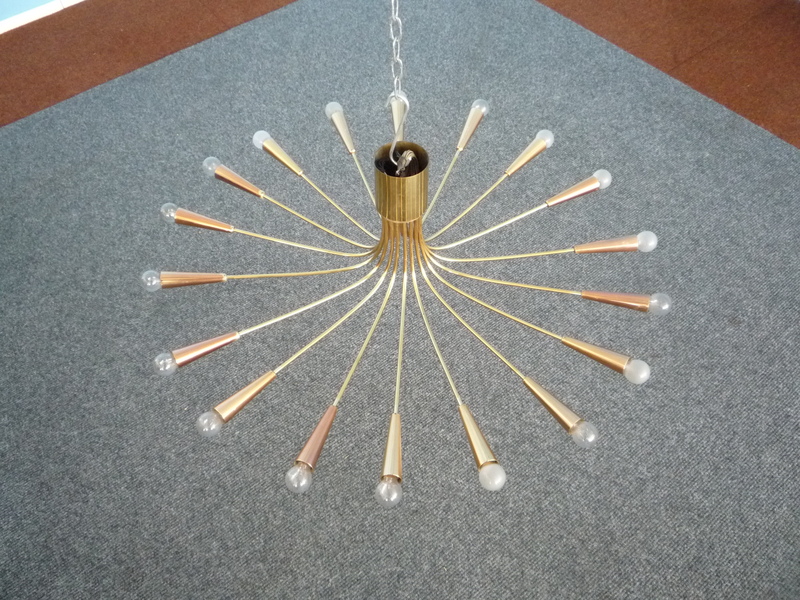 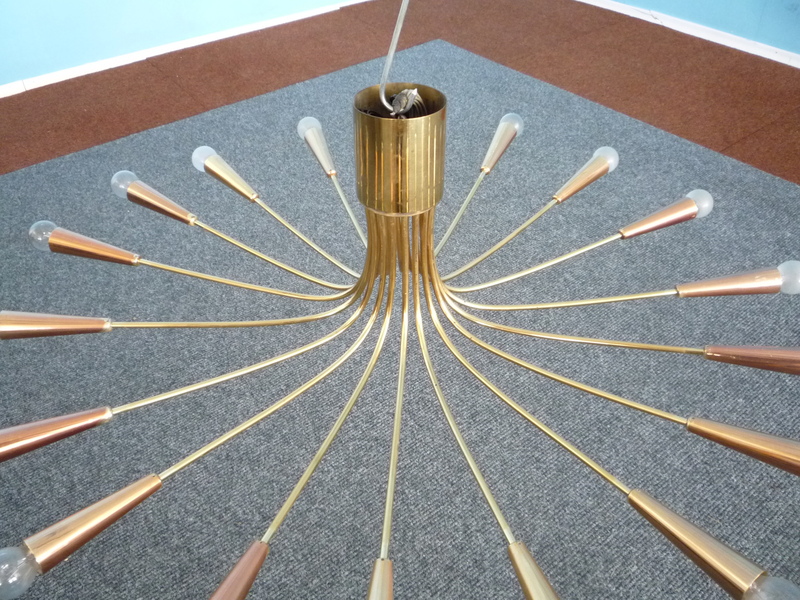 Beautiful XXL Sputnik ceiling lamp from the golden fifties. 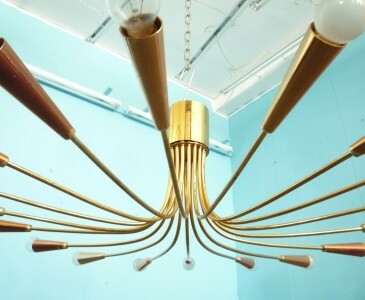 18 lighting units with brass arms. 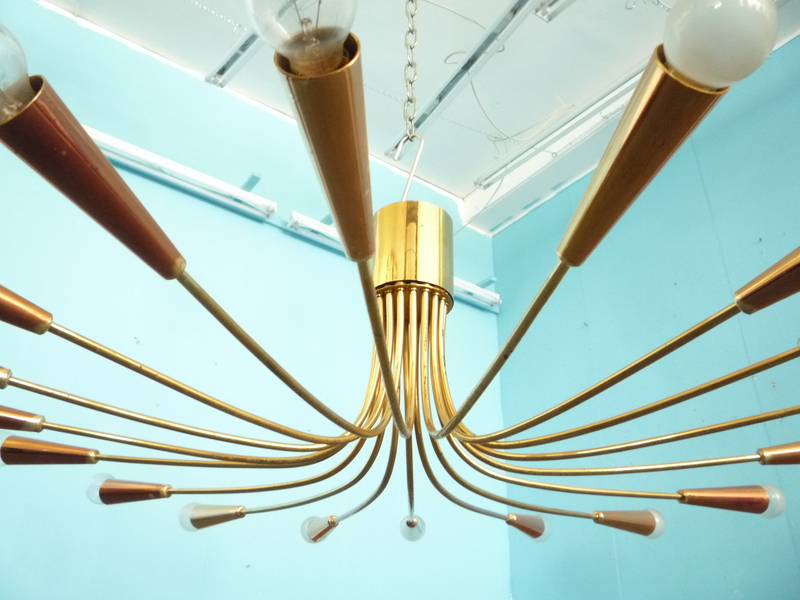 Fully functional and complete. 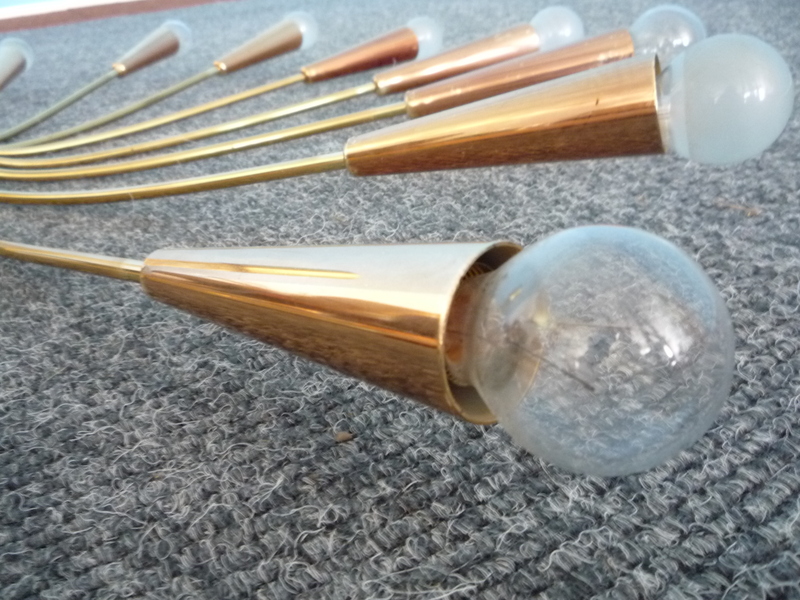 Brass rod with patina. 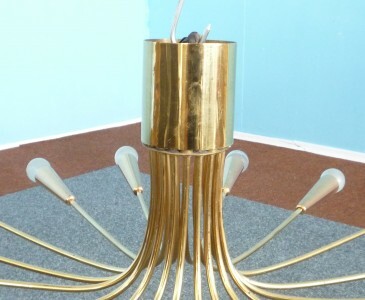 The lamp is clean and ready for use. 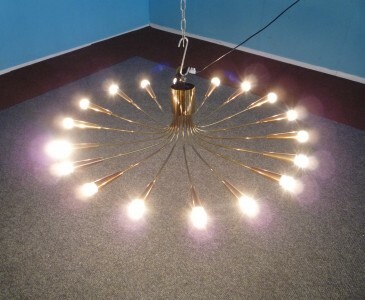 Shipping without Bulbs.